The trinidad+tobago film festival (ttff) is pleased to host a screening of the award-winning documentary Carmen and Geoffrey, next Friday, 31 October, at its office at 199 Belmont Circular Road in Belmont. 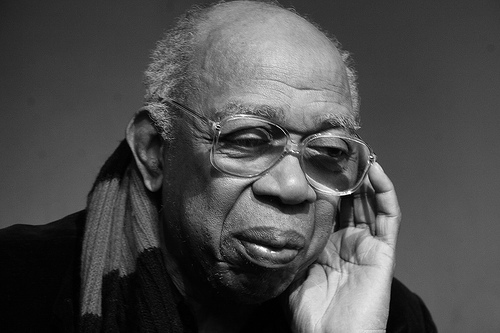 A tribute to the actor and dancer Geoffrey Holder, who died earlier this month at the age of 84, the screening takes place in association with BelFest, a celebration of the arts in Belmont. The film begins at 7.00pm, and doors open at 6.30pm. Admission is free and all are invited. Released in 2005, Carmen and Geoffrey is an affectionate and moving portrait of two towering icons of the arts, Geoffrey Holder and his wife Carmen de Lavallade. From the time they met and wed in 1955 until Holder’s death earlier this month at the age of 84, the two were celebrated dancers, actors, choreographers and much, much more, together and individually. Geoffrey Holder’s many achievements include memorable performances as Professor Shakespeare X in the film Dr Doolitte and Baron Samedi in the James Bond film Live and Let Die. He also won two Tony awards for direction and costume design of The Wiz, an all-black adaptation of The Wizard of Oz. Carmen and Geoffrey was filmed over three years in the United States, France and Holder’s native Trinidad and Tobago. It combines archival footage with candid interviews to provide a remarkable glimpse into the lives of an extraordinary couple. Winner of the prize for best feature-length film at the ttff/09, Carmen and Geoffrey is directed by Linda Atkinson and Nick Doob, and is 80 minutes in length. Founded in 2006, the ttff is an annual celebration of films from and about Trinidad and Tobago, the Caribbean and its diaspora. The Festival also screens films curated from contemporary world cinema. In addition, the ttff seeks to facilitate the growth of the Caribbean film industry by hosting workshops, panel discussions and networking opportunities. The Festival is presented by Flow, given leading sponsorship by bpTT and TTFC, and supporting sponsorship by RBC Royal Bank, The National Gas Company of Trinidad and Tobago Limited, Ministry of the Arts and Multiculturalism and Embassy of the United States of America. For further information visit http://www.ttfilmfestival.com.